One day in August, while I was driving, I happened to hear a discussion on NPR’s “Science Friday” program about “emotional literacy.” The program’s guests, Marc Brackett from Yale’s Center for Emotional Intelligence, and Maurice Elias, from the Societal and Emotional Learning Lab at Rutgers, discussed how important a child’s emotional state is to his or her ability to learn. They pointed out that many children lack a sophisticated vocabulary for expressing their emotions, and that their inability to clearly label their feelings leaves them unable to describe their state of mind in a way that permits teachers to help them. For example, students may experience either boredom or anxiety in the classroom, two emotions that have different implications for learning. If the kids can’t clearly express themselves, teachers can’t accurately diagnose their difficulties. Out of frustration, the kids may act out in inappropriate ways. I had never thought about this issue in quite this way, and it makes complete sense to me that people who lack the vocabulary to express a full range of emotions will find themselves very limited both in their ability to learn and in their overall social development. There already is a very large piece of the curriculum ideally suited to teaching people about emotional expression. It’s called literature and the arts. 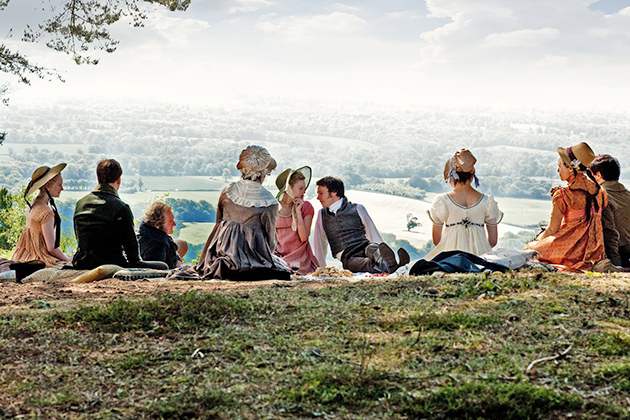 Picnic on Box Hill, from Jane Austen’s Emma. I was less impressed with the solution recommended by Brackett and Elias. They suggested that courses on emotional literacy be added to the curriculum. That strikes me as a bad idea, because there already is a very large piece of the curriculum ideally suited to teaching people about emotional expression. It’s called literature and the arts. By way of example, I recall a famous scene from Jane Austen’s Emma. At a crucial moment in the story, Emma and a party of people from her circle travel to Box Hill for a picnic. In the midst of an uncomfortable conversation, Emma insults Miss Bates, an admittedly dull character, but also someone deserving of sympathy for her straitened circumstances. The scene is, in so many ways, so small – yet thanks to Jane Austen, it was as if I personally felt the sting in Emma’s words, saw the hurt in Miss Bates’ eyes, and experienced Emma’s guilt and regret. That scene forced me to confront the pain that casual verbal cruelty can inflict. Students should learn to find the language to express the full complexity of human emotion, even emotions that they themselves haven’t yet experienced. The best way to achieve that is to make sure that they listen critically to powerful music, look at and analyze the visual arts, and read and critique poetry, short stories, and novels. Through literature and the arts they will not merely hear and talk about emotions generally, but they will experience and learn to express the interior lives of other people. As a result, they’ll be not only better students, but better people.